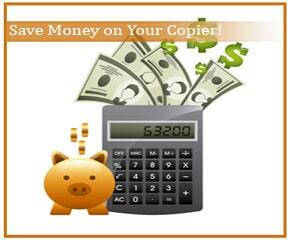 You found a copier that you love, and now you are working out a lease with a copier leasing company. You want to do everything you can to make sure that you are getting a good price. At Spokane Copier we believe in saving people money on their copier leases, so we are going to show you a little understood secret on how to save money on your lease rate. What many people don’t understand is that copier lease rates are not chosen on a gradual scale. Lease rates will be better if you spend more money, but it’s not as straightforward as that. There are certain price barriers you have to cross in order to get a better rate. Once you spend a certain amount of money, you will be able to save money in the long run. The $2 difference in price can save you tons. It’s all about crossing that barrier to get a better rate. Talk with your leasing company about where these price barriers are. If you are within a close amount, then you may want to negotiate higher prices elsewhere, in order to save money in the long run.